Sophisticatedly furnished and well maintained 3BR/2BA Cape style home accessible to Pleasant Street Beach. New for the 2019 season is a fenced in yard perfect for those who wish to bring their furry friends. This home is located just steps from two of South Chathams’ finest beaches! 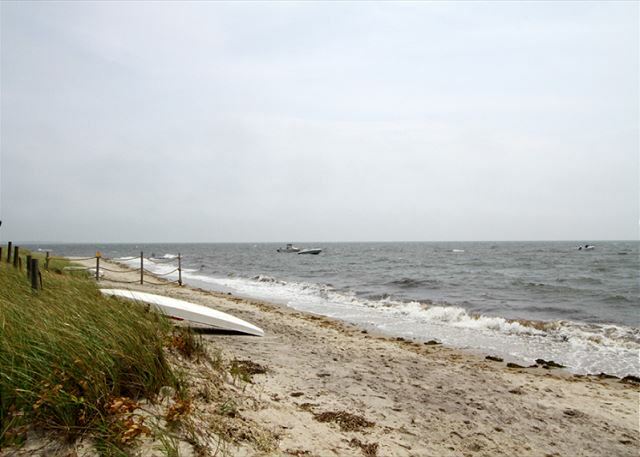 Both beaches are a short 5-10 minute walk or a quick drive away. Beach stickers are not required so you can be relaxing on the beach, swimming and enjoying the fresh air and sunshine within minutes. Pleasant Street beach is 3/10 of a mile away and Forest Beach is 4/10 of a mile away. 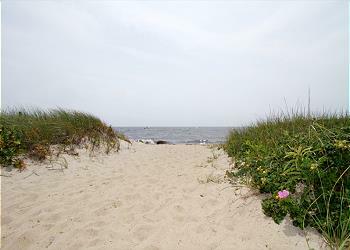 Forest beach also has a walking path behind the beach that welcomes pets throughout the season! All rooms are nicely appointed with your comfort in mind. Spacious living throughout, a fully equipped kitchen with gas range and stainless appliances. Dining area open to beautiful living room equipped with gas fireplace and flat screen TV. In addition to the 1st floor is a main bedroom with queen bed and full bath. The second level will boast two additional guest rooms and full bath to service both rooms. Enjoy the outside deck area for cookouts and clambakes or a relaxing game of bocci in the fenced yard area. Centrally located at the “elbow” of Cape Cod, Chatham is a true Cape gem, said to be as quaint as Nantucket without the boat ride. Enjoy Main Street and its unique shops, restaurants, theaters and inns. Relax at the scenic beaches perfect for sunning, swimming, boogie-boarding, kayaking, windsurfing, or sailing. If the salt water is not your thing, try one of the calm, spring-fed, glacial kettle ponds, a great alternative for young kids. This is unlike any average rental-come enjoy, relax and make memories of a lifetime! PETS CONSIDERED! Open Year Round- Off Season $350/night 3 NIGHT MINIMUM. $125 Administrative Fee/ $250 Cleaning fee plus applicable state and local taxes. Linen package for 8 available upon request for an additional cost of $245.00. 250 Pleasant Street; A vacation delight! This is our second year returning to this lovely vacation sight! First, it is in a wonderful location in Chatham. Just a walk down the road takes you to two different town beaches. All other parts of Chatham; the downtown, local eateries, stores, etc . . are just a few minutes drive away. The beach house itself, was immaculate, very tastefully decorated, and offered all the comforts of home - with many lovely touches for beauty and comfort. There is a quiet backyard area, adjacent to a nice-sized deck connecting from the kitchen - the perfect spot for breakfast, each morning, and evening barbecues! In addition, the folks involved the rental group at Olde sothebys, could not have been more helpful or accommodating. Very happy there. Like home. We love 250 Pleasant Street! This is our third time renting this home and we just love it. It is very neat and clean and comes very well appointed. We love it's location and proximity to both downtown Chatham and Harwich and close enough to bike ride/walk to Red River Beach. Thank you for another fantastic vacation! Wounderful...Very relaxing. Would haved liked more sun. We had a very nice vacation in Chatham. 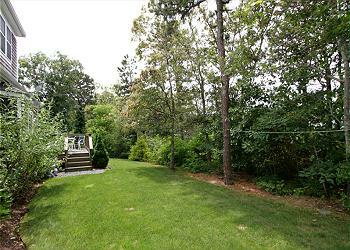 250 Pleasant St was conveniently located so that we could access beaches, restaurants and all things 'vacation'. Wonderful Two weeks. Love the the house. Very roomy and comforable. Loved every thing about it. So many nice beaches around.